It has been awhile since we last posted a blog. We have been on the go and in places that were not so easy to access the internet (we are looking at you China). We are actually in Japan at the moment touring around this amazing country, which we will get to soon. For now, we wanted to share a bit from our time in Thailand. Makes sense since we left the country almost four weeks ago now! We actually entered and exited Thailand on three different occasions (hence the title). This was pretty poor design on our part, but nonetheless we got a taste of the different areas of the country which are vastly different from one another. Hope you enjoy the blog, our favorite photos and we will speak soon! Bangkok, Thailand was where we started our Southeast Asia tour way back in early November, which seems like years ago now! It took us nearly 24 hours to travel there from NYC. Neither of us had ever been to this part of the world so we had no idea what to expect. We landed in the afternoon after an extremely long travel day and decided to get settled into our hotel and stretch our legs a bit. 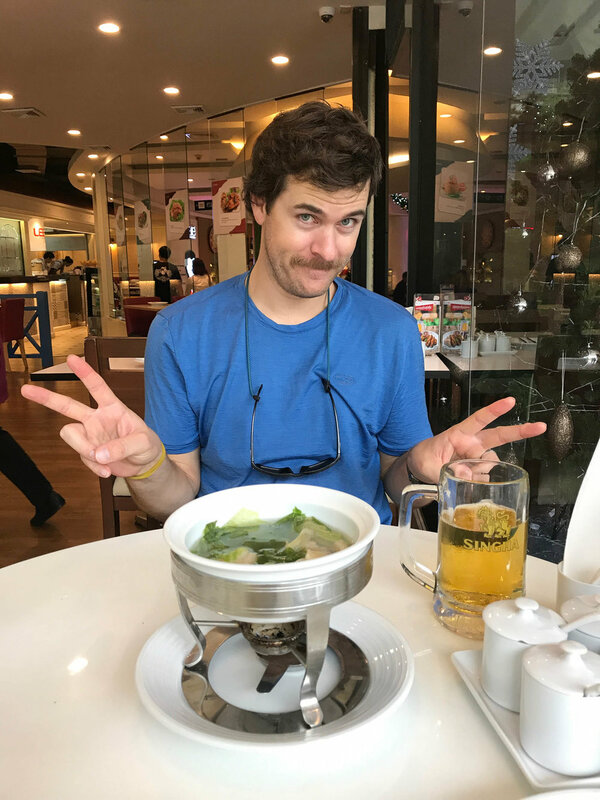 We took a walk through the city and ventured down a few side alleys to explore and HOLY CULTURE SHOCK! The new sights, smells and tastes were something we were definitely not fully prepared for. Keep in mind, at this point we had primarily toured the West so we knew were in for a whole different experience about 5 minutes after leaving our hotel. After a much needed night's rest, we decided we just needed to embrace our new environment and go all in. 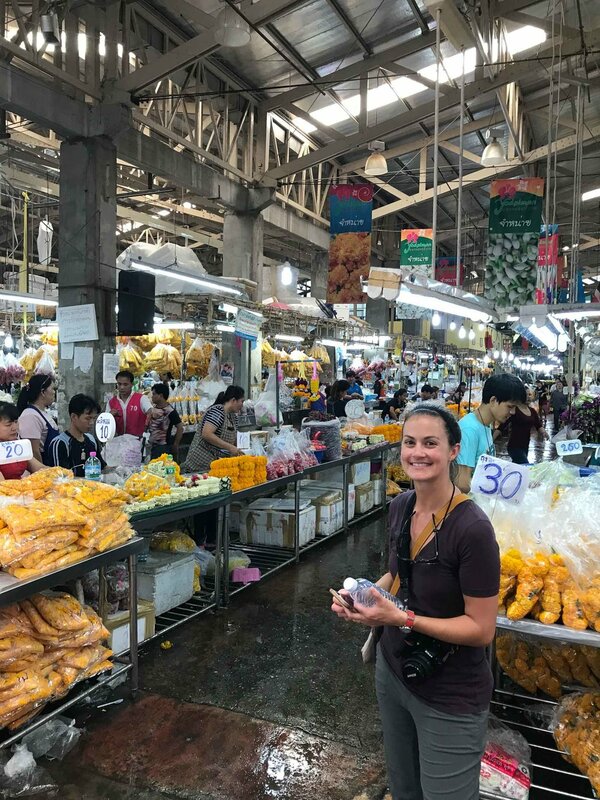 So we took on Bangkok as best we could experiencing the street food, the famous Khao San Road (where yes, we ate a scorpion), the boats, the tuk-tuk’s, the temples and everything in between. When you are a little travel-weary and/or are having second thoughts this is the only way to go! 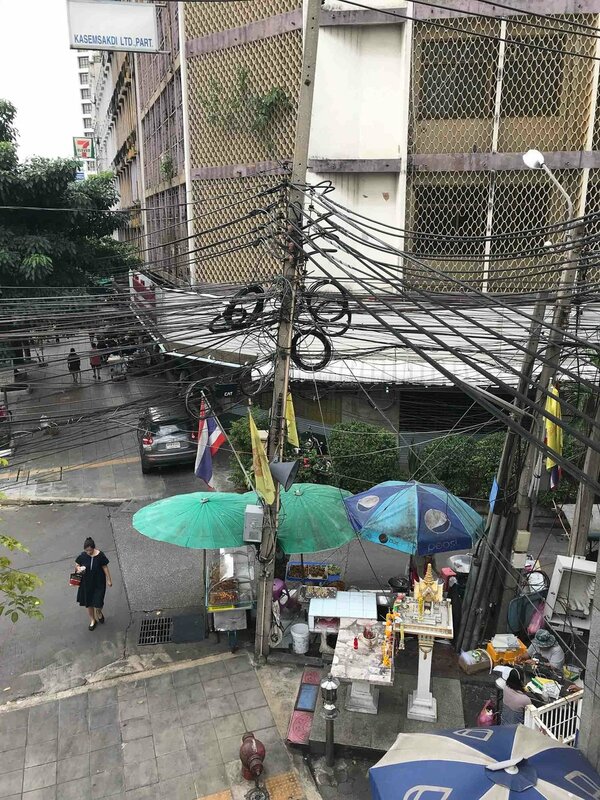 Bangkok as a city is pretty hectic, though we realized this would be the rule not the exception in Southeast Asia’s largest cities. We learned fast to embrace the smells (the good and the bad), avoid the “hustle” (everyone tries to sell you something) and to just smile and nod at every weird thing you see…and there is a lot of weird. It took a few days to fully settle in and get comfortable in our new surroundings, but we are sure glad we did. The journey we have had the last two months has been insane and we have Bangkok to thank for sending us on our way. 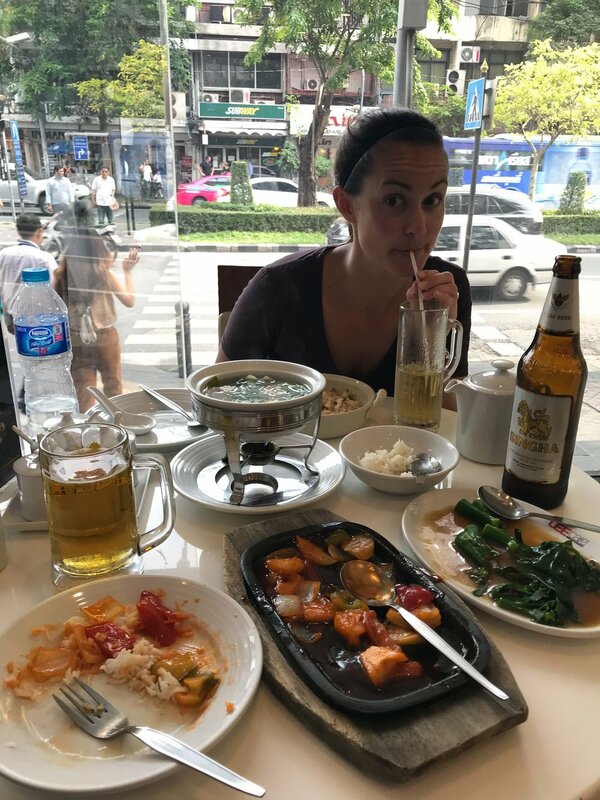 By the time we got to Chiang Mai, we were seasoned travel vets of Southeast Asia. We had already been through Cambodia, Vietnam and Laos. 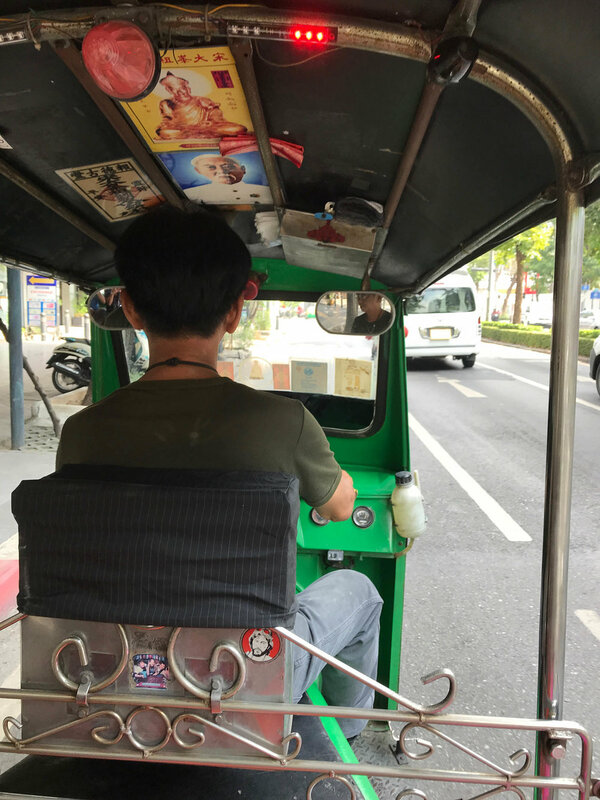 However, since we were a little wide-eyed when we toured around Bangkok we were eager to experience a different part of Thailand and dive in even further. One of Thailand’s northern cities, Chiang Mai has a vastly different feel from Bangkok. It is pretty quiet, slower-paced and motorbikes actually stop for you when you cross the streets. Furthermore, there is a lot of countryside and mountainous regions that surround the city, which made this part of the world truly beautiful. We spent our time seeing temples and eating a LOT of Thai food. The highlight though, was spending a full day out at an elephant sanctuary. We got picked up at our hotel and on the way to sanctuary learned all about elephant abuse and exploitation, which at times was hard to watch. 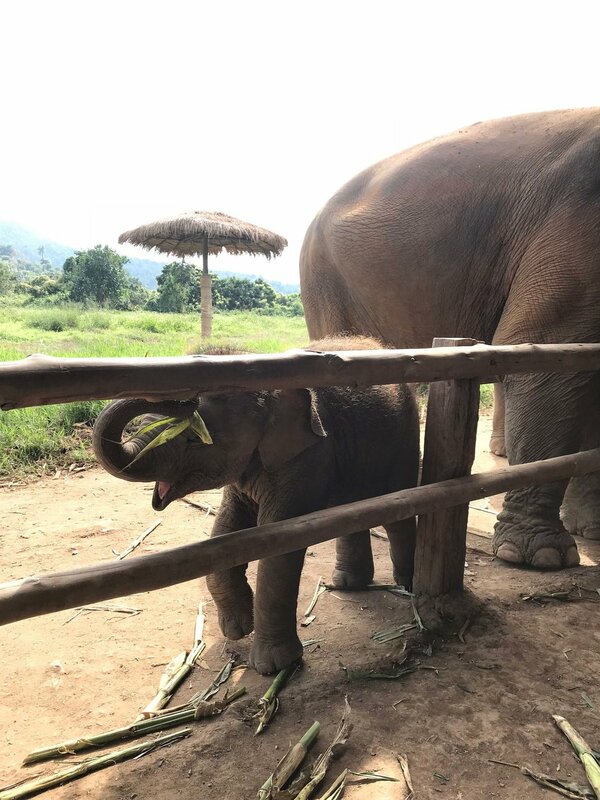 The sanctuaries in Northern Thailand help to rehabilitate abused elephants and give them a chance at a second life, even though they will never be able to truly live in the wild again. We had a blast spending time with the elephants. We got to feed them, hike through the jungle with them and at the end of the day go swimming them them. It was awesome! We learned that elephants eat a TON, are super friendly and are WAY stronger than we ever imagined, particularly in their trunks. But most importantly, we got to see how happy these animals were at the second chance they have been given. These creatures really do have a soul and we witnessed that first hand (just look at the pic of that female smiling at Kirby's hug below)! It was insanely rewarding for us and we would highly recommend a similar experience to anyone. Our last stop in Thailand was a good one as we got to spend five nights at one of Thailand’s most beautiful beaches in the south. 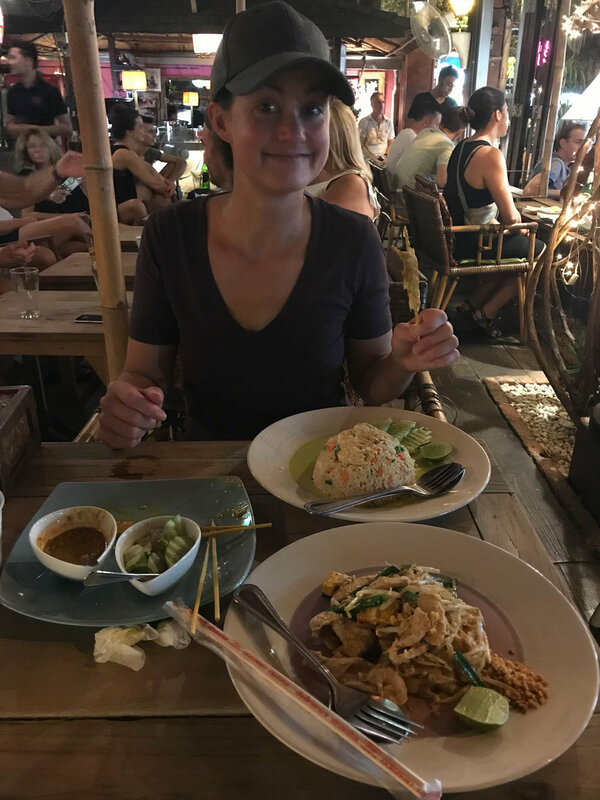 We stayed in Krabi, which is right next to Phuket and within striking distance of some of Thailand’s most beautiful islands such as Hong Island, Ko Lanta and Ko Phi Phi. When we arrived in Krabi we had just finished our 10-day whirlwind through Myanmar so we were ready for some rest and we sure got it! For about four days we did absolutely nothing. We sat by the pool, slept and caught up on reading. 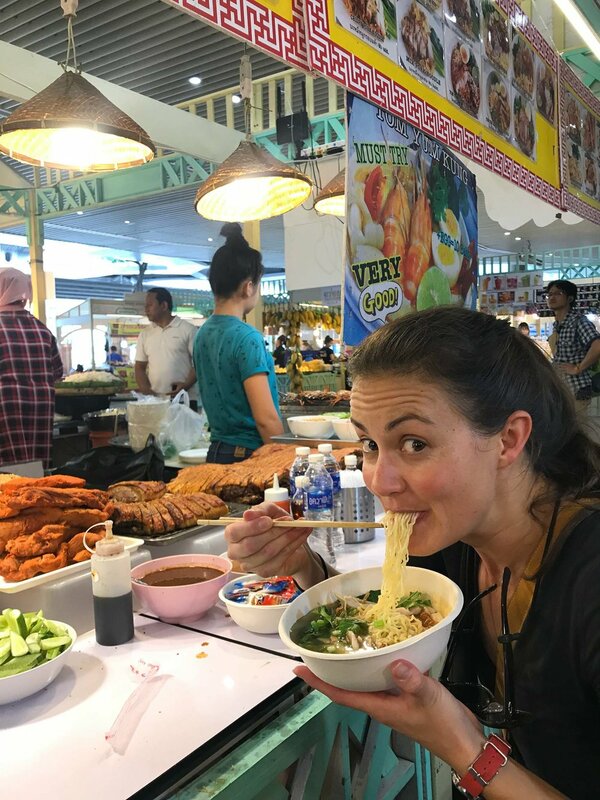 We also got to sample some new variations of Thai food, which we realized got a lot spicier as we travelled further south! For our big excursion day, we hired a boat to take us around the islands. Particularly, we spent time on Poda, Chicken and Hong Islands. It was beautiful! It reminded us a lot of a less-crowded Halong Bay with the giant limestone cliffs, but here we felt a lot more comfortable swimming (i.e., the water was clean)! We were able to enjoy the beaches we visited and even got some snorkeling in. Quite an amazing part of the world for sure. 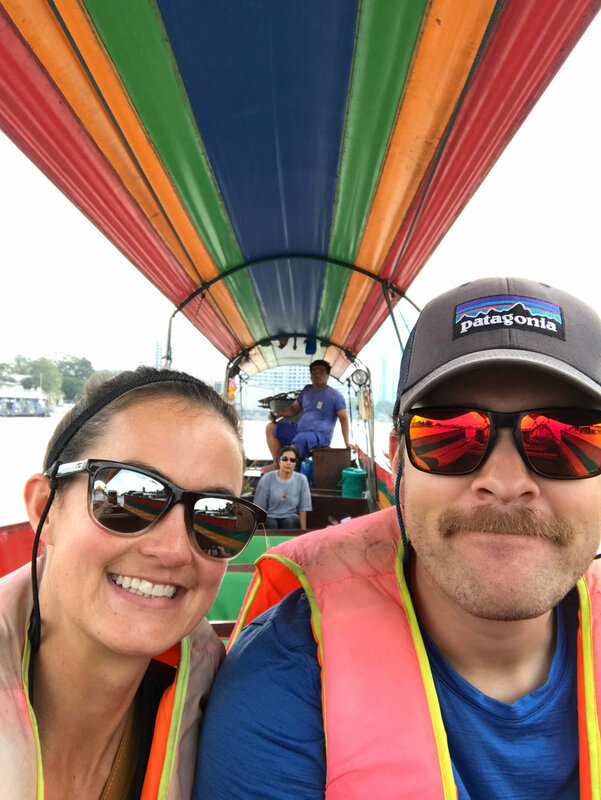 Overall, we had a blast visiting Thailand. The cool part about this country is how different it is from top to bottom. It almost felt like we had visited three different countries! The people, the food and the landscapes were all different from one another. But overall, everyone could not have been nicer to us and made us feel welcome no matter where we were.